The advertising industry has an amazing ability to stretch the truth when entering work into award shows. World firsts, 1000% increases, nations spurred into action, ground-breaking results, unprecedented results, even results that speak that for themselves, the miracles of the 2-minute award video know no bounds. The Effie Awards, however, are different. There's no hiding behind smoke and mirrors, only work that achieved real business results for real clients will bring home the metal. So to encourage agencies to enter the 2013 Effie Awards in New Zealand, Whybin/TBWA took the country's top ECDs and CEOs and interviewed them about their most awarded campaigns from the last year. Only, they had a police-trained polygraph examiner perform the interviews. The films are hosted on resultsdontlie.co.nz, where visitors to the site can not only see the leaders of NZ's advertising industry squirm, but also test their own professional integrity. Using voice stress analysis software, visitors can take their very own polygraph test. They can then print out a personalised poster of their test to proudly display in their office, or bury deep in their draw, depending on the results. But that's not all. 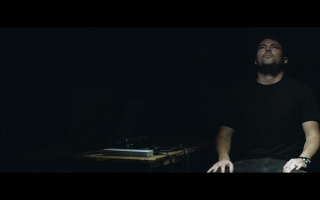 Awards night will see the return of the Australian polygraph examiner, where he'll perform live on-stage interviews with some of the biggest names in New Zealand advertising. The questions for the night will be crowd-sourced from industry blogs, allowing anyone with a hunch to become the interrogator.